The family and I are in Little Rock doing some back-to-school shopping. 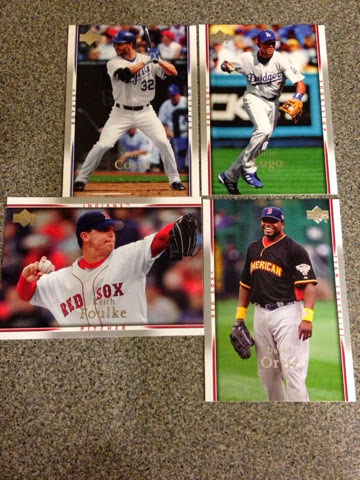 Since that involved a stop by Target, I bought a $1.59 pack of 2007 UD Series One. Well, I was presently surprised there. Several of you got hits, including a pair for the FDNYs! Congrats, everyone.